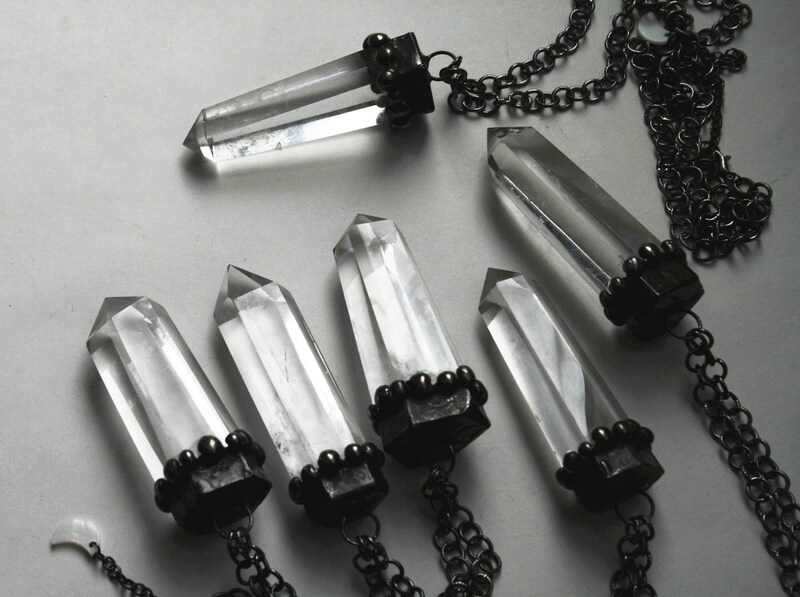 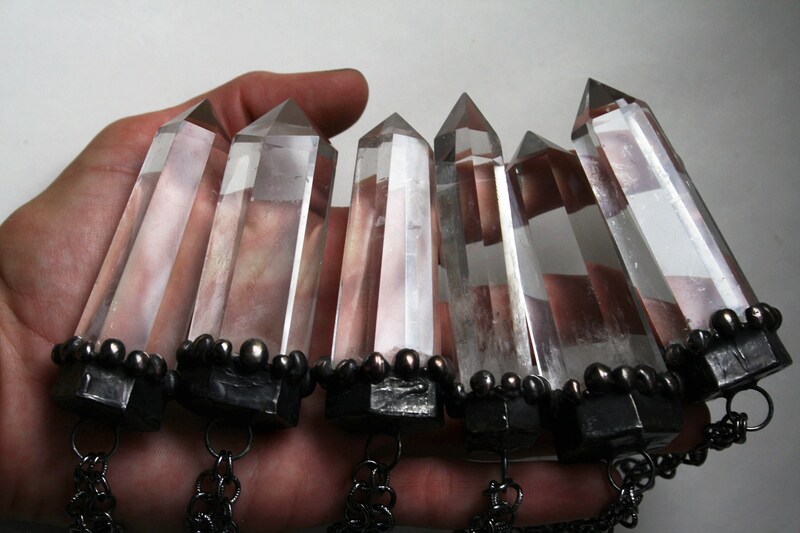 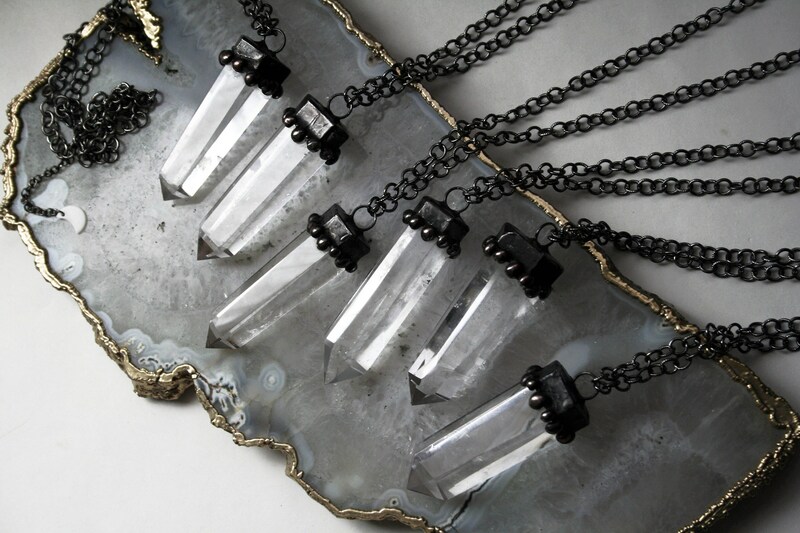 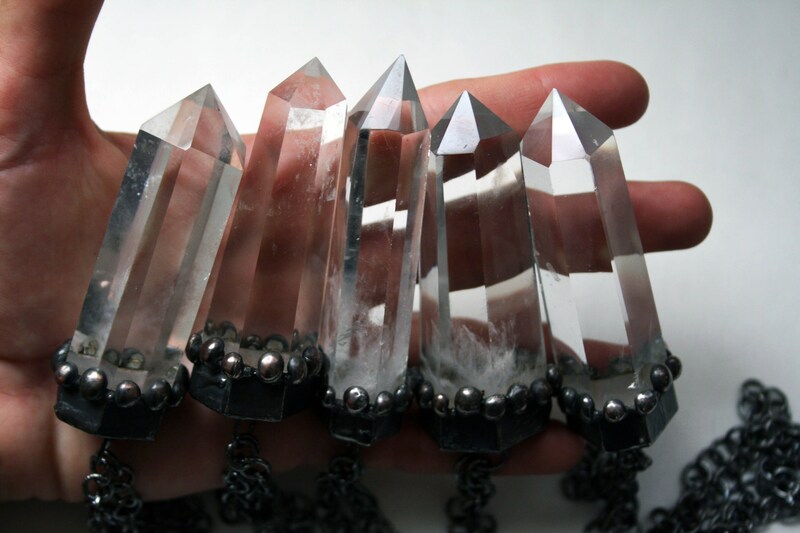 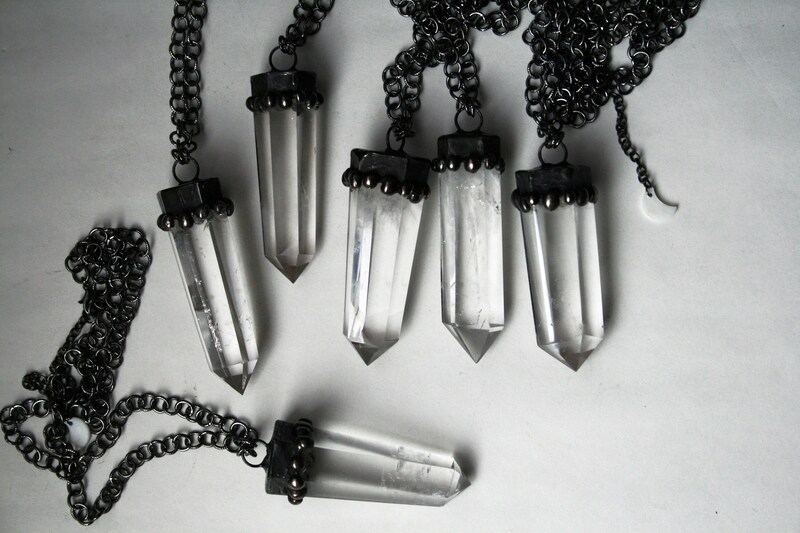 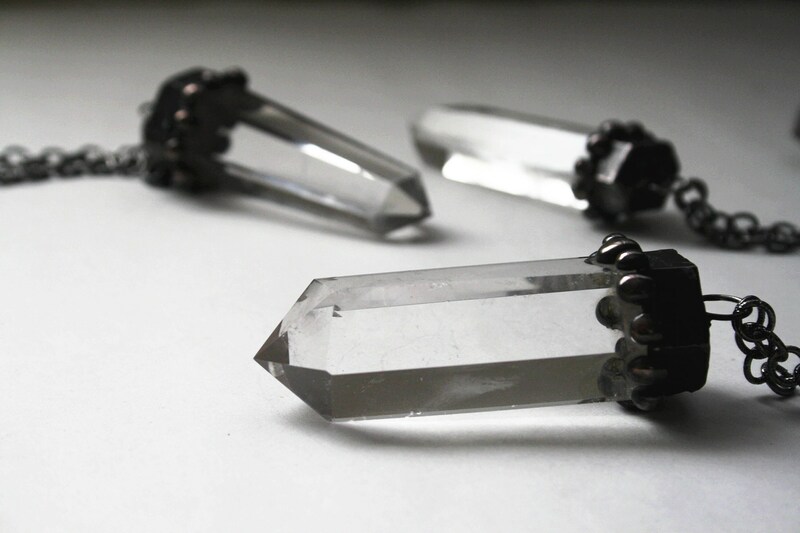 One necklace featuring a large, beautifully faceted terminated quartz crystal tower, that has been set in a handmade artistic sculptural solder setting, hanging from a gunmetal plated iron chain. 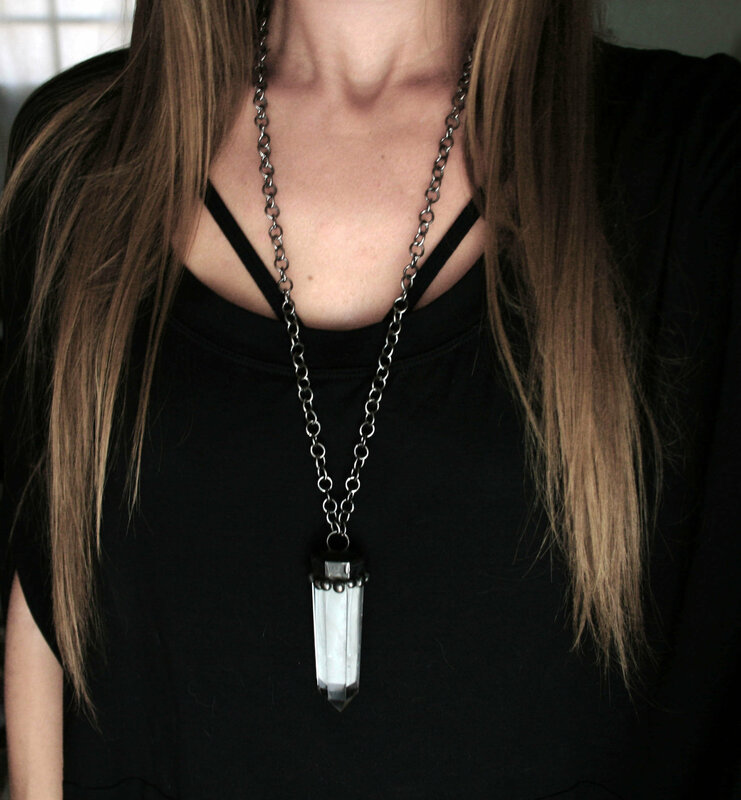 Chain is adjustable between approximately 27" - 30" long, with a lobster clasp and a mother of pearl crescent moon charm. 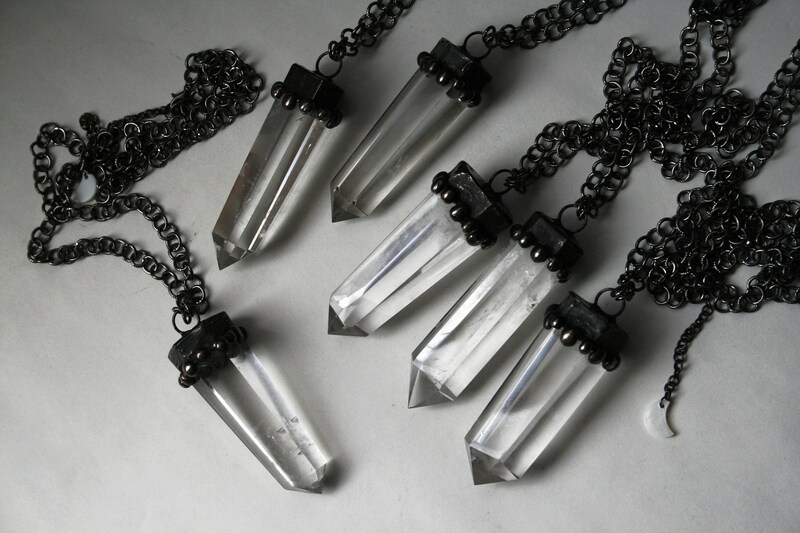 Pendants hang roughly 3" - 3.5" long each, including the bails.